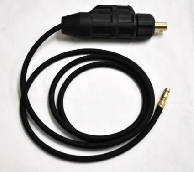 This Safe-loc M16 female connector is a torch connector that is designed to connect your premium Model 17H, 26, or TL26 TIG torch to any machine that has an M-16 male fitting on the front panel. 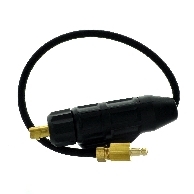 This Safe-loc M16 female connector is a torch connector that is designed to connect your premium Model 9/17 TIG torch to any machine that has an M-16 male fitting on the front panel. 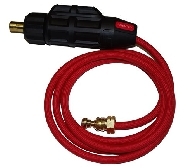 (CK9,17,MR70) w/6' hose and includes QDGAP Quick Connect for gas. For use on Everlast & Razorweld machines. 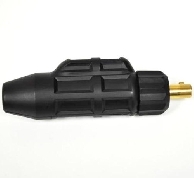 GAS MALE Plug (5/8-18 FEM.) For 5/8-18 R.H. Male to quick disconnect plug. 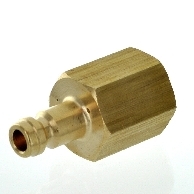 Can be used in conjuction with SL2-25, SL2-35, SL8-35, for Razorweld, Everlast machines. (2) ea. 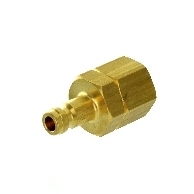 required for water recirculators with quick disconnect. Can be used on most water cooled TIG Torches. 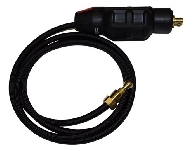 For all water cooled TIG torches Water-Cooled Gas-Thru, For use on Miller 180SD, Syncrowave 200, Lincoln, 175,185, V-205 AC/DC, V311-T, Aspect. 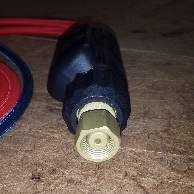 For use with all water cooled TIG Torches with power sources using 1/2" (35/50) Dinse. Miller Maxstar/Dynasty 200, 350, Syncrowave 250/350 LX/DX.